SimCoupe emulates a SAM Coupe - an 8-bit, Z80-based home computer released in 1989 by Miles Gordon Technology. Originally developed for UNIX and DOS systems by Allan Skillman, it has been then improved and ported to SDL by Simon Owen, Dave Laundon. 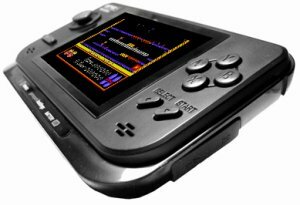 GP2X-SIm is a port of the CVS version 0.90 beta 4 of SamCoupe. What's new in this version ? How to use it ? Everything is in the README.txt file. Guests online: 785. Total online: 785. More Pandoras soon at the shop! zerox86 version 0.06 beta released! zerox86 version 0.05 beta released! zerox86 version 0.04 beta released! zerox86 version 0.03 beta released! Alive and Kicking Coding Competition - cast your votes!